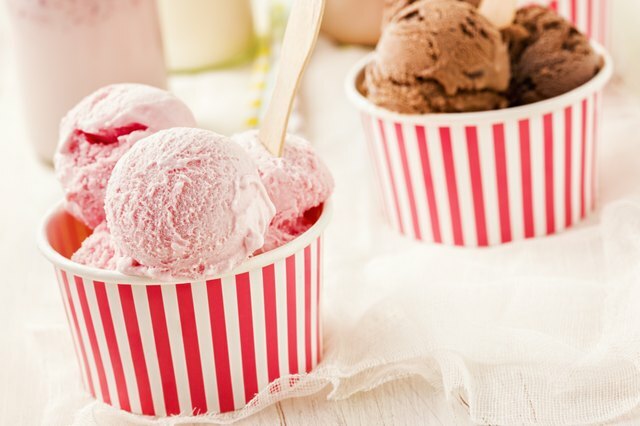 Ice cream has practically been a best friend to us while growing up—there to brighten up a bad day, to help us get through a painful breakup, and just to be enjoyed as a delicious and refreshing dessert—so it's only right that one of the newest trends emerging in ice cream right now is that it includes options for those who are gluten free. Just peruse the frozen section of your grocery store and you’ll see what we mean: The new normal is now shelves stocked with dairy- and gluten-free options. With so many brands competing for that top spot in the gluten-free ice cream world, it can be hard to figure out which one is best. While you could taste-test all the different kinds (challenge accepted), here’s some info that will help. Halo Top Creamery Halo Top ice cream is relatively new to supermarkets (they launched in 2012), but it’s a hard brand to ignore thanks to its colorful packaging, unique flavors (one is candy bar), and the fact that it's a healthier alternative to other ice creams on the market. Most of its flavors are certified gluten free, so you can feel good picking up a pint. Some flavors include chocolate-covered banana, rainbow swirl, and oatmeal cookie. Häagen-Dazs In 2018, Häagen-Dazs did a huge rollout of non-dairy ice cream products that promised to maintain the flavors consumers love. Three of these non-dairy flavors were also gluten free, with it now expanding to include many more delicious flavors. These include banana peanut butter chip, butter pecan, and coffee. Breyers Breyers is one of the leaders in gluten-free ice cream, as they are always trying to come out with new flavors. Currently, they have over 30 that also include ones that are lactose free and no sugar added. Their flavors, which include natural vanilla, peach, and vanilla fudge swirl, promise to be delicious. They also have sorbet flavors that are gluten free. Blue Bell Creameries They've been making ice cream for over 100 years, so it's safe to say that they know a thing or two about what they're doing. When it comes to being gluten free, however, that's relatively new. They consider an ice cream gluten free if it's 20 parts per million of gluten. Its flavors include rocky road, ultimate Neapolitan, and mint chocolate chip. 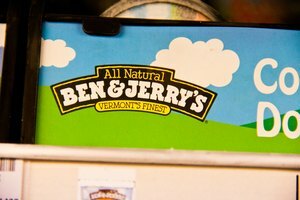 Ben & Jerry's Considered one of the best when it comes to store-bought ice cream, it's no surprise that this company expanded its products to include non-dairy offerings. When it comes to gluten-free products, however, they don't have an actual line of products. Instead, they advise their consumers to check the ingredients list on the container to verify whether it contains gluten. Some flavors that have been verified as gluten free include cherry Garcia, orange and cream, and Phish food. If you prefer to make your own gluten-free ice cream right at home, the good news is that it only takes one ingredient: bananas. To make it, start by taking ripe bananas and chopping them into small pieces. From there, freeze the bananas in an airtight container for around two hours (or longer if you'd like since overnight is ideal). Next, using a food processor or blender, pulse the bananas to break them up. It should look crumbly. Keep pulsing; that's the trick. In the end, you want it to take on an ice cream texture. Before it gets there, it goes through different stages of looking crumbly, chunky, like oatmeal, and then finally like soft-serve ice cream. Once finished, you can eat it immediately or store it in an airtight container in the freezer to take on a hard ice cream texture. Just because you're gluten free doesn’t mean you can’t enjoy ice cream—not when these ice cream companies have got your back. The Kitchn: How To Make Creamy Ice Cream with Just One Ingredient! Breyers: Gluten Free Ice Cream Flavors!